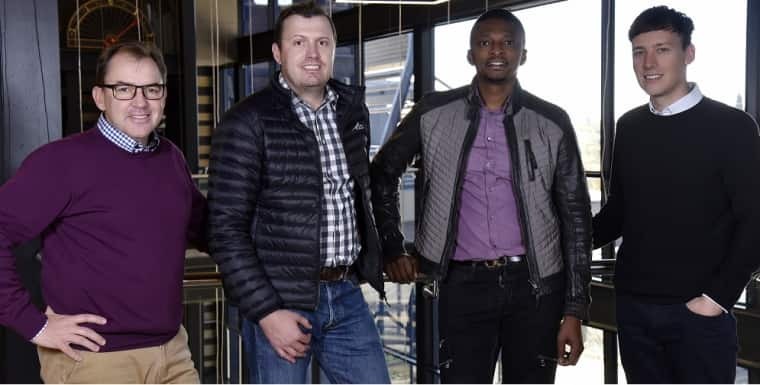 Wouter de Vos CEO - Atterbury Property Fund, Rian Reyneke CEO - Ithemba, Tebogo Mogashoa - Group Chairman Talis Property Fund and Carel Kleynhans - Executive Director Ithemba. Backed by the experience of some of South Africa’s leading property specialists, Divercity Urban Property Fund is the newly launched investment fund with a R2 billion seed portfolio of landmark property assets, set to renew and re-energise the country’s urban centres. The names behind Divercity include some of the most experienced and respected property investors and developers South Africa has to offer. 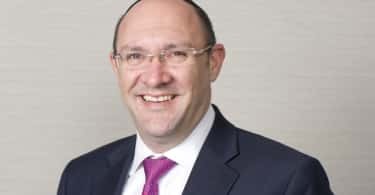 The major shareholders and stakeholders are Atterbury and Ithemba Property, with Talis Property Fund playing a major part in forming the fund. Cornerstone investors are RMH Property and Nedbank Property Partners, subject to regulatory approval which is expected by the end of July. The names behind Divercity include some of the most experienced and respected property investors and developers in the country. Divercity’s major shareholders and stakeholders are Atterbury and Ithemba Property, with Talis Property Fund playing major part in forming the fund. Cornerstone investors are RMH Property and Nedbank Property Partners, subject to regulatory approval which is expected by the end of July. Divercity invests in South Africa’s major cities; its investment strategy is even more precise; focusing on pre-identified precincts or corridors within these cities, rather than on individual properties. The fund already has assets of R2bn. Its initial portfolio includes strategic buildings hand-picked from Atterbury’s, Ithemba’s and Talis’s portfolios, including Johannesburg landmarks Newtown Junction Mall, Talis House and Turbine Hall, and the iconic Pan Africa Mall in Alexandra coupled with 4,500 residential properties from the Ithemba stable. Divercity has also acquired some of the best properties in Maboneng from Propertuity, and it also owns Sterland Mall in Pretoria. These assets anchor the precincts in which Divercity has initially targeted its investment. In Johannesburg, its investment corridors span from Maboneng to the Newtown area around Turbine Hall and Newtown Junction Mall, and the Alexandra node surrounding Pan Africa Mall. Divercity is, as a founding principle, committed to transformation. From its inception, a significant amount of equity already vests in black hands and, as it grows, it intends of further diversifying its shareholder base to become available to all South Africans. Furthermore, by investing in well located affordable housing in amenity-rich neighbourhoods, Divercity is also committed to the spatial transformation of South Africa’s cities. Divercity has secured a development pipeline of a further R3 billion of investment, and the funding required to roll it out. This pipeline consists of over 3,000 new affordable residential units as well as prime inner-city office and retail space. The vision for the property income fund is to grow it towards a target of about R6 billion in assets over the next three to four years and a stock exchange listing as a REIT. The fund invests in retail, commercial and residential properties. It intends to increase its balance of residential property over time in response to the massive demand for quality homes in its urban investment corridors. It is this residential development that it sees as a key ingredient to creating vibrant mixed-use precincts, and this is where Ithemba, a leader in the residential market, will play an important role. Adding to the live-work-play attraction of these hubs, Divercity has also set its sights on adding more hospitals, clinics, schools, retail, and leisure to its precincts. By creating critical mass with its focused investment zones, it is also better able to influence and control factors such as safety, sidewalks and roads. This not only ensures the highest standards for its property management, but also for the area around buildings, which ultimately creates better neighbourhoods to live and work in. “While community is at the core of Divercity’s business model, the business case has been built around an asset class that we believe in and the returns it generates. The fact that it will also generate lots of positive social impact is an added benefit. This is a unique, scalable business and we’re excited to be part of its growth,” emphasises Rian Reyneke, CEO of Ithemba. Evidence of this can be found in New York, London and beyond, where urban renewal has transformed decaying areas into the most highly sought-after and valued properties in the city. “We really want to take inner-city rejuvenation back to basics through the collective leadership of private and public sector as well as civil society stakeholder engagement,” says Tebogo Mogashoa, Chairman of Talis Property Fund. Nurturing and developing a new generation of property skills, the executive teams of Atterbury, Ithemba and Talis guide Divercity’s dedicated management. 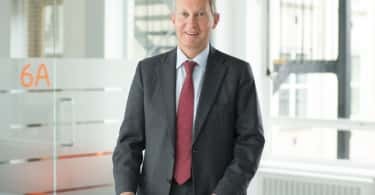 As the fund grows towards critical mass, its trajectory includes transforming its management to become an empowered business. Each precinct will work with its stakeholders, such as its city, city improvement district and its community.